Cuisinart GR-300WS griddler elite grill is a great unit with many uses. You can use it to griddle and grill food, and it is highly versatile, allowing you to get creative in the kitchen. It is large enough for when you are entertaining and need to cook for lots of people, and it’s easy to clean, making it an ideal choice for indoor grilling. While not the cheapest model on the market, this grill-griddler is highly versatile and includes several useful features, making it great value for money. The plates are easy to remove or switch round, everything is simple to operate and the unit is quick and easy to clean. The machine comes with a 3-year warranty. However, should any defect arise, the customer is responsible for paying for postage costs. If you are looking for a versatile home grilling and griddling machine, the Cuisinart GR-300WS Griddler Elite Grill could be a good pick. It has a range of different cooking modes and configurations, and it is easy to clean and maintain when everything is done. There are now quite a few options available for home grilling and griddling units. If you are thinking of choosing this model, there are a couple of points to bear in mind. Do you need a big machine that will allow you to cook for a large family or when you are entertaining guests? This model has a large cooking capacity but the size of the unit itself means it might be unsuitable for smaller homes. Do you just need a simple grill, or do you prefer more flexibility in your cooking? This machine will allow you to create much more than just simple grilled steaks, but if that’s all you need to do, there might be cheaper options to consider. Do you also need a waffle plate? If so, this might not be the machine for you since it doesn’t include one. 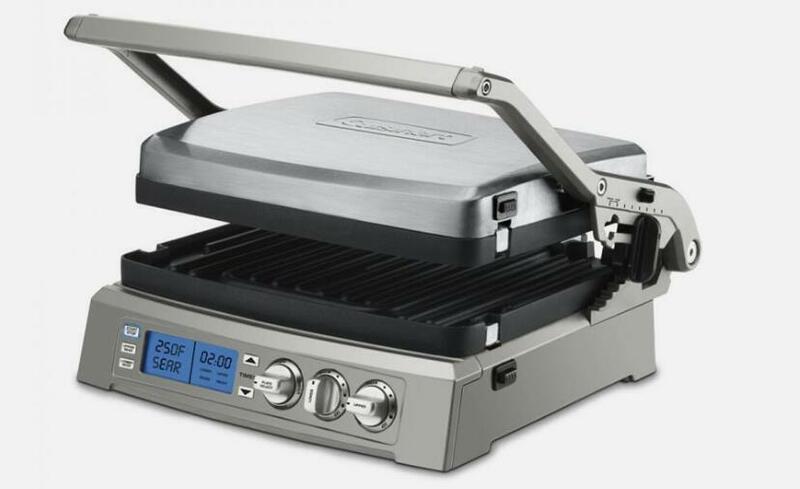 The Cuisinart GR-300WS Griddler Elite Grill features removable plates that allow you to use it as a full grill, a full griddle or half-and-half. It also includes a sear function to sear meat at high temperature for up to two minutes, and a top melt function. The hot plates are heated internally, and the temperature of each can be controlled independently, giving you more control over how the food is cooked. You can also control how far the top plate is positioned above the bottom plate, useful for melting cheese etc. The controls are simple and intuitive to use, and when you have finished cooking, the plates are easy to remove and wash – they are fully dishwasher-friendly. The grill funnels fat and oil out of the machine and into a drip tray at the back for ease of disposal. The Cuisinart GR300WS offers six different cooking options that are easy to configure. There is a contact grill that’s ideal for cooking meat, a panini press for making toasted sandwiches, a full grill mode, a full griddle mode, and a half-and-half griddle/grill mode. The final mode is the top melt configuration for melting cheese on top of sandwiches or burgers. The plates for the different modes are reversible and easy to remove, making changing from one configuration to another simple. The plates are non-stick, so you shouldn’t have problems with food becoming encrusted onto them. The plates are also dishwasher-friendly, meaning they are easy and painless to clean and maintain. The temperature of the hotplates is controlled independently. This means when it is in an open configuration, one side can be hotter than the other, allowing you to cook different food items at different temperatures. This is especially useful if you are using half-and-half mode. The plates also feature internal embedded heating elements, which helps heat food evenly and consistently. Temperatures are adjustable to 200-450°F. The height of the top cover can be adjusted easily to make sure it is either in contact with the food or held above if you want to use the top melt mode. The top cover has six height settings. The unit also includes a sear function, allowing you to heat your food at high temperatures (of up to 500°F) for a short time of up to two minutes. This is useful for example if you want to sear the outside of a steak before cooking the inside more slowly. This unit is designed specifically for grilling and griddling inside, making it ideal for cooking when the weather outside is not good enough for a barbecue. When used with the open configuration, the grill offers a large area for cooking. The dimensions are about 10” by 11”, giving a total of about 120 square inches altogether. You could probably cook about 6 hamburgers on each side, making this grill/griddler ideal for entertaining when you need to cook food for a large number of people. The blue LCD display is large and clear, making it easy to read and easy to control your cooking. The unit will let you know when it has heated up and ready to cook, and it also indicates when it is plugged in. The unit includes a timer function which allows you to set a countdown of up to one hour. The plates for grilling have raised ridges which give meat and other food an authentic and attractive grill pattern. The plate attachments allow fat and oil to drain away efficiently, meaning you will be able to cook healthier, lower fat meats. The fat collects at the back of the unit in a specially designed drip tray that is simple to remove for easy disposal. We had a good look online to find out what other people were saying about this product. There are lots of positive reviews on YouTube and you can find more there, we’ll give you just one to let you see how the Cuisinart performs. 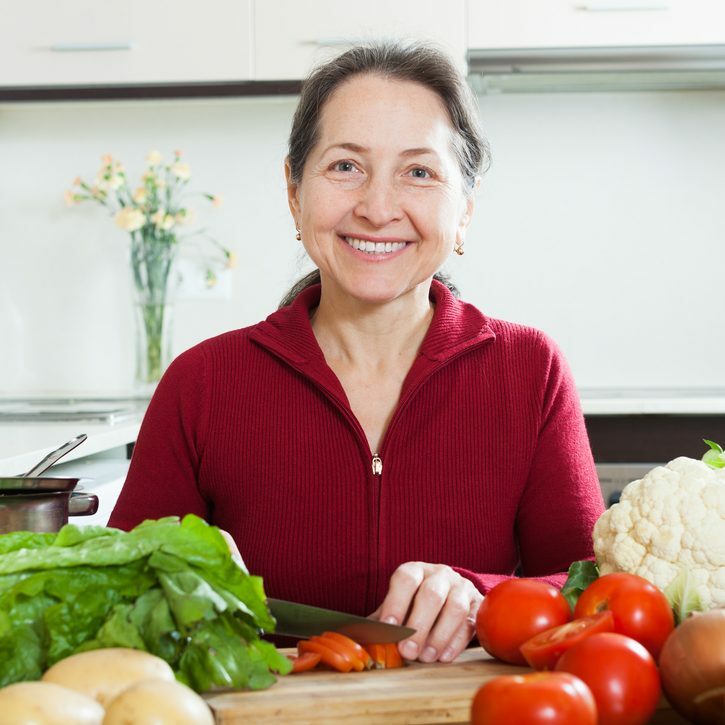 If you think you don’t need all the extra options and gadgets the Cuisinart has to offer, you might wish to choose a simpler model that will save you a few dollars but will still do the job you need. This Hamilton Beach grill and searing machine will cook your meat and other food like the Cuisinart but is available at well below half the price. It features a high heat searing mode and adjustable cooking temperature. The removable plates are non-stick and easy to clean, and it includes an extra-large drip tray. The plates, hood and drip tray are all 100% dishwasher-friendly. This unit is much smaller than the Cuisinart so if you are looking for a machine that allows you to cook for larger numbers of people, the Cuisinart might be a better choice. This machine also doesn’t have the griddle or top melt functions of the Cuisinart. If you need versatility that allows you to do more in the kitchen, the Cuisinart would be a wiser pick. However, if you only need a simple machine that allows you to sear and cook steak and other meat perfectly, Hamilton Beach could be worth considering. If you are looking for even more than the Cuisinart can offer you and you want a high-end grill, you might consider this model from Breville. It opens out flat into a “BBQ” mode, it offers adjustable temperature settings, including low, panini and sear, and also features six different height settings. There is also an incorporated drip tray to catch any fat and grease that runs off as you cook. The plates are internally heated and even include sensors that can automatically adjust the temperature when cold food is placed in them. This allows even more precise control and helps ensure that your food is cooked perfectly every time. The unit features timer controls so you don’t lose track of how long your food has been on the grill, and the plates are non-stick, removable and dishwasher friendly, ensuring that maintaining the machine is as hassle-free as possible. This machine is sold at a higher price than the Cuisinart. The main extra feature is the heat sensors in the plates, but if you are willing to pay a little more for extra control over the cooking process, this could be a good upgrade pick. We have enjoyed doing this Cuisinart GR-300WS Griddler Elite Grill review for you. We found the machine to be simple and practical to use, and easy to clean and maintain. We also thought the price was very reasonable. If you are looking for a versatile grill and griddle machine that you can use for all kinds of cooking, we have no hesitation recommending this unit from Cuisinart.